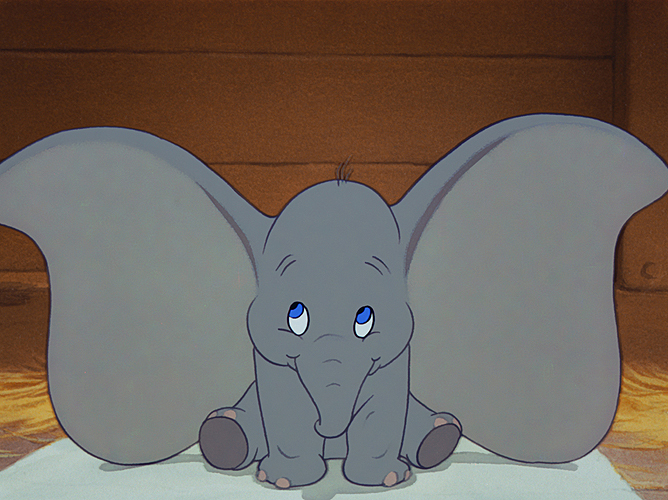 If I were a character in a film, I’d be Dumbo, the baby elephant in Disney’s 1941 animated film of the same name. Like Dumbo I used to get teased for having big flappy ears, but unfortunately I wasn’t able, as he is, to turn this to my advantage by learning to fly. The film is much more simply drawn than Fantasia, which preceded it, but it’s very beautiful. The scene where storks deliver babies and the sequence when Dumbo is, effectively, acid-tripping and sees weird visions are both incredible. When my mother was a little girl in war-time London, her mother took her to the cinema. Before the feature there was a newsreel, and my grandmother thought she saw in it the man she was in love with, who had disappeared. This image has always appealed to me, so when I came to write a novel I made it my starting point. The rest of the story is invented, including the fact that the film the mother and daughter go to see is Dumbo. I just wanted to find a film that would have been on show in 1942. What’s odd is that a lot of the book is about missing people, being torn apart from loved ones, and of course Dumbo is separated from his mother and misses her terribly. So the film flickering across the screen at the beginning mirrors one of the main themes of the book. Cartoons are brilliant at depicting the sense of loss missing someone you love occasions. The characters appear to sag and crumple under the weight of sadness. Dumbo depicts this brilliantly, as does Bambi. More recently, Toy Story 3 exactly captures the longing and disappointment of missing a loved person. Dumbo overcomes adversity and embraces the very things that frighten him. That makes him an excellent role model for a coward like me. I’m glad I’m not a circus star, but in other ways I’d like to be like Dumbo. My Former Heart by Cressida Connelly is published by 4th Estate.